Loquats are in season now. Eaten fresh, they’re sweet and refreshing (especially when cold), but with less fragrance than you might expect. To get a better idea of the aromatic side of loquats, just add alcohol. Make your own loquat liqueur by following the recipe below, and after about three months you’ll have the pleasure of the sweet almond essence of a liqueur that is good for a lazy weekend afternoon or as a digestif. Note: “White liquor” is white rum sold in Japan. Outside of Japan, look for white rum or try making this recipe with vodka. ① Soak a small towel or paper towel in a small amount white liquor (not included in the ingredient list) and use it to wipe the inside of the jar you will use to store your biwashu. ② Use a mixing bowl large enough to hold a generous amount of water and the loquats. 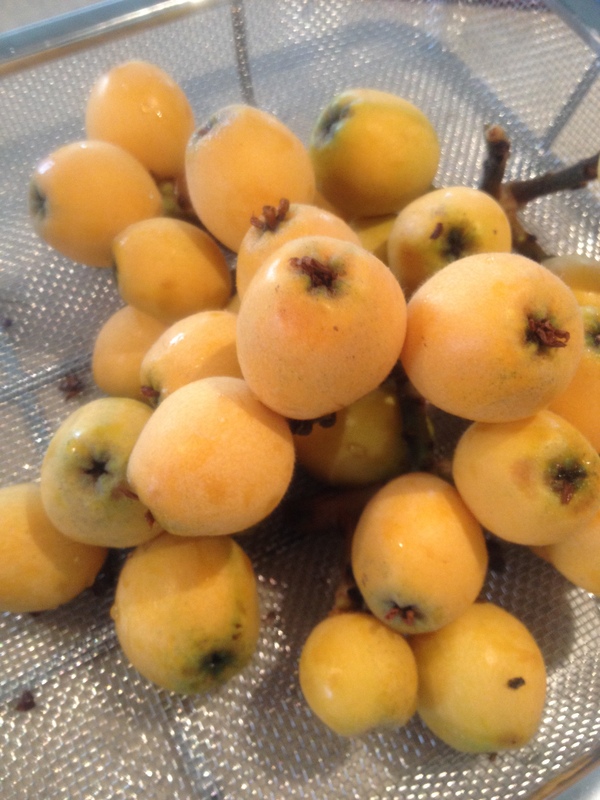 Fill the bowl with water, add the loquats and rinse them gently under running water. Be careful not to damage them. Drain the water off and use a paper towel to dry the loquats. Use a bamboo skewer or toothpick to remove the little round bit of material (narikuchi [なり口]) where the stem was attached. This will help to prevent the development of mold. 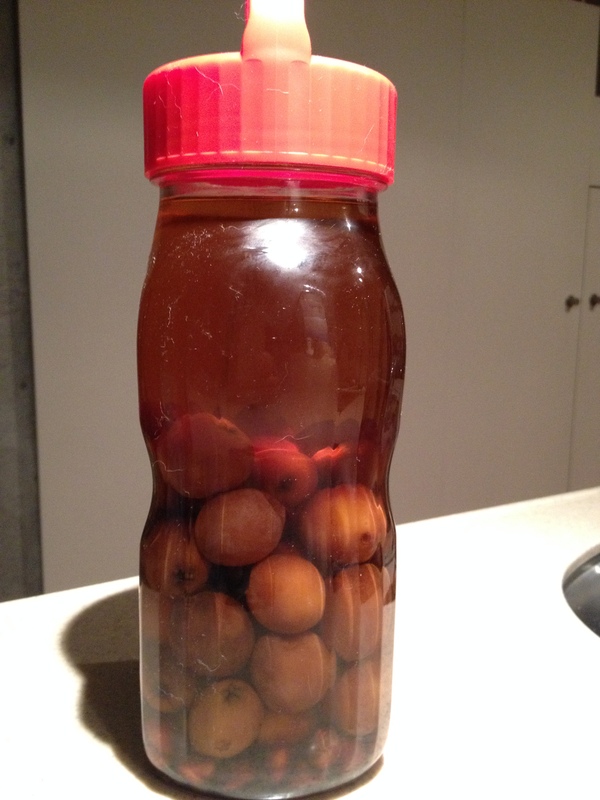 ③ Add the loquats and rock sugar to the jar in alternating layers, and then pour in the white liquor. ④ Agitate the jar every day to mix the contents. Do this until the rock sugar dissolves. The mixture in the jar will begin to ferment, so loosen the lid every once in a while to let the gas escape. ⑤ Your biwashu will be ready to drink at about 3 months. If you age it even longer – months or even years – the flavor will take on increasing degrees of smoothness. Biwashu is great straight, on the rocks, or with soda.